Looking along the ridge of 'Rugged Jack' in The Valley of Rocks - a coastal dry valley , a hanging valley , unique in England , running parallel with the sea . 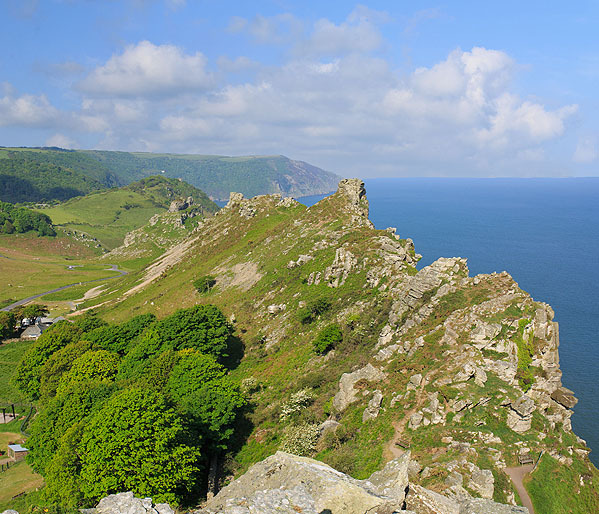 The valley floor is about 300ft above sea level , bounded by a rugged wall of hard, weathered Lynton Shales and Grits. The valley is floored by Head deposits. Goats (Wild Cheviot) from Northumberland were introduced to the valley in 1976 and now number over 100.